Project: Master thesis project at The Royal Danish Academy of Fine Arts- School of Design. 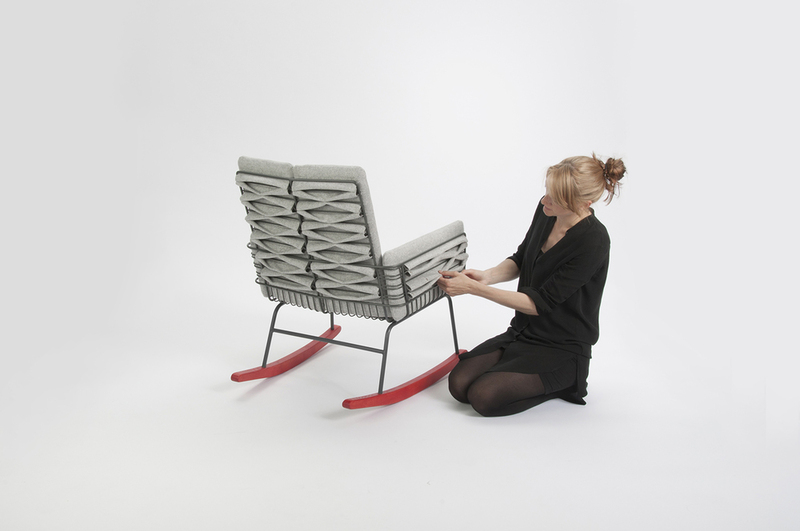 In her Master project Annika Göransson worked with an interpretation of the traditional wooden rocking chair. The focus has been to combine the traditional rocking chair’s function, with a design that better relates to the way we decorate and use our living room today. The idea is that Push can be placed freely in the room so it can be experienced from all sides. 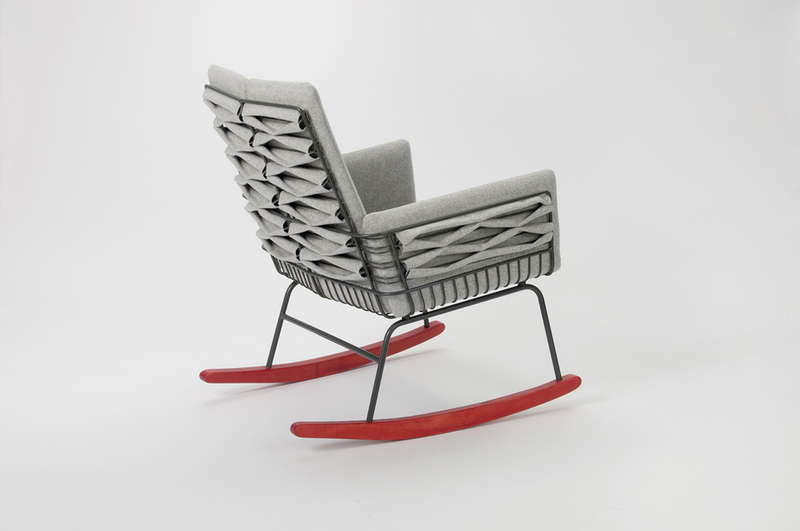 For extra comfort while rocking, the chair has cushions made of cold foam, covered with wool fabric. The cushions are secured to the steel frame with push buttons, making the folds of the fabric create a three dimensional pattern on the back and the sides of the chair. By securing the cushions to the frame, the cushions are prevented from falling out of place when rocking or when getting out of the chair. The name – PUSH, relates to both the movement of the feet while rocking and also to the push buttons used to secure the upholstery to the steel frame.